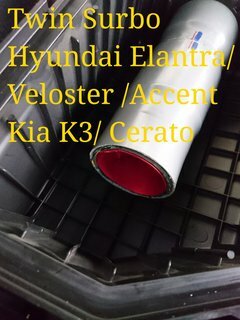 Photo below shows the Surbo installed on Hyundai Elantra (2011 onwards, similar to Veloster and Accent). The air filter will be put back afterwards. 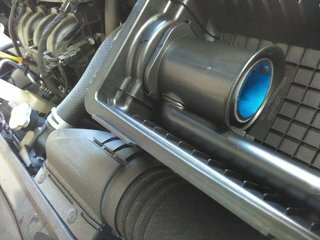 Photo below shows the Twin Surbo installed on Hyundai Elantra. The air filter will be put back afterwards.